Civil Rights icon Charles Evers – brother of murdered Civil Rights activist, Medgar Evers – is hoping to set the record straight, requesting that radio Bible teacher, best-selling author, seminary president, and mega-church pastor John MacArthur stop “lying” about being with Charles Evers on the night that Martin Luther King Jr. was assassinated. Testimony from Charles Evers and fellow Civil Rights icon, John Perkins – in concert with official reports from the Memphis police, the FBI, and the Congressional investigation into Dr. King’s assassination – are incongruent with Pastor MacArthur’s statements of the events of April 4, 1968, when Dr. King was shot. On at least four other occasions, Pastor MacArthur has either alluded to or directly claimed to have learned of Martin Luther King, Jr.’s assassination while in the company of John Perkins and Charles Evers, and to have traveled to Memphis with those men on that tragic night. I was down in the South, in the office of Charles Evers–the brother of Medgar Evers–when Martin Luther King, Jr. was assassinated… I was in Jackson, Mississippi with some leaders and they actually put me in a car and took me to Memphis into the building where James Earl Ray shot him. I climbed up on the toilet to look through the window where he held the gun. Well it was during those times that I was there and I will never forget, I can’t tell you the whole story, but I’ll never forget one night, I was in the middle of Jackson, Mississippi in the office of a man named Charles Evers. Charles Evers had a brother named Medgar Evers. Medgar Evers was the first martyr of the Civil Rights Movement. He was the first person killed. Charles became the first black mayor…the first black mayor in the south at Fayetteville, Mississippi. He was a friend of John’s [John Perkins], and I had come to know him. And we were sitting there and he was trying to explain to me that night in Jackson what was going on. Now remember, I was a very young guy, I had become immersed in that culture, grew to love those people. And Charles was talking and a man burst through the door and said, “Martin Luther King has been assassinated.” That happened that night while I was with Charles and John and some others. So they took me. And in those days the police weren’t nearly as protective, forensics hadn’t developed to what they had and they didn’t necessarily protect crime scenes. So we went to the motel, up to the landing, saw the blood where Martin Luther King had been shot just hours before by James Earl Ray. I actually went to the little building opposite the motel, went up on the second flood [sic], stood up on the toilet and looked out the window where James Earl Ray had shot him. And I was there at that very, very, very crucial time. These remarkably detailed accounts are irreconcilable with the testimonies of Charles Evers and John Perkins. A few poignant comments from the interview with Charles Evers, however, serve well to illuminate the drastic difference between Evers’s and MacArthur’s versions of what happened the night of King’s assassination. And did Evers travel to Memphis to visit the Lorraine Motel and the boarding house with John MacArthur and John Perkins? Evers had previously published his own account of the night of King’s death in his 1997 book Have No Fear. There, Evers wrote, “On the evening of April 4, 1968, I was driving highway 28 to Natchez,” Mississippi when Dr. King was killed  . This detailed response notably lacks any mention of John MacArthur, Charles Evers, or the NAACP office. Further, John Perkins’ recollection that he was informed of the death of King by a woman and children from the community, starkly contrasts with MacArthur’s narrative. To help me make sense of the unambiguously differing accounts of MacArthur, Evers, and Perkins, I reached out to John MacArthur’s biographer in search of clarity. In John MacArthur: Servant of the Word and Flock, Iain Murray’s biography of John MacArthur, the author had referenced MacArthur’s accounts of April 4, 1968. Below, I’ve quoted my email to Murray followed by his response. My name is Paige Rogers and I write for a website in the United States called NOQ Report (NOQReport.com). I am writing you today in regards to information published in the biographical book, “John MacArthur: Servant of the Word and Flock,” by Iain H. Murray. However, in Charles Evers’ book, “Have No Fear,” Mr. Evers stated that he was in his vehicle, on his way to Natchez, Mississippi, when he learned that Martin Luther King had been killed. I spoke with Mr. Evers on Thursday, Jan. 10, 2019, by phone. He denies knowing John MacArthur, and he denies being with John MacArthur when he learned that Dr. King had been assassinated. Additionally, in a taped podcast interview with John Perkins in April of 2018, on the topic of King’s assassination, Perkins stated that he was informed of Martin Luther King’s murder by a group of children and a woman from his community after returning from preaching the Gospel in a rural Mississippi school. Thus, several questions arise regarding the incongruity of these accounts. Did Iain Murray verify the claims published in his book? If so, what corroborating evidence was found? Was there a ghost writer involved, from which Mr. Murray received this information? Is there any information which you can share, or a direction you can point me, so that I may verify that John MacArthur, John Perkins, and Charles Evers were together when Dr. King was killed? Any information that may assist in clearing up this current incongruity of facts is greatly appreciated. Do you wish to ask any questions of me regarding the information presented in this email? Do you wish to make a comment, for the record, regarding the information presented in this email? Thank you for your letter to me via Banner Of Truth publisher’s. I had that information direct from John MacArthur in personal conversation. Sorry, that is all I know. 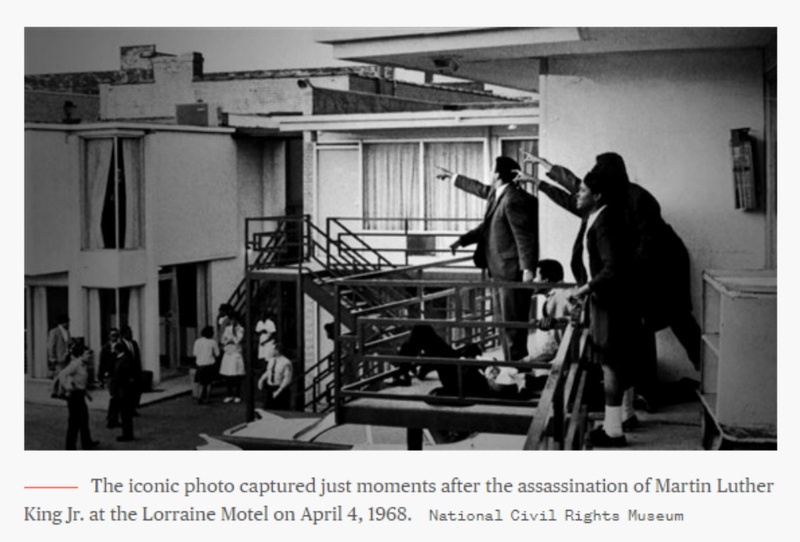 Martin Luther King, Jr. was pronounced dead by doctors at 7:05 PM , and according to pastor John MacArthur, he arrived at the Lorraine Motel “literally within hours after Dr. King was assassinated,” . This followed a 210-mile drive to Memphis, Tennessee—a city in the midst of riots and under a mandated curfew—that he allegedly made with Charles Evers. Yet, also according to MacArthur, he and John Perkins “had to go preach the next two days. We had to go preach in black high schools” in Jackson, Mississippi . 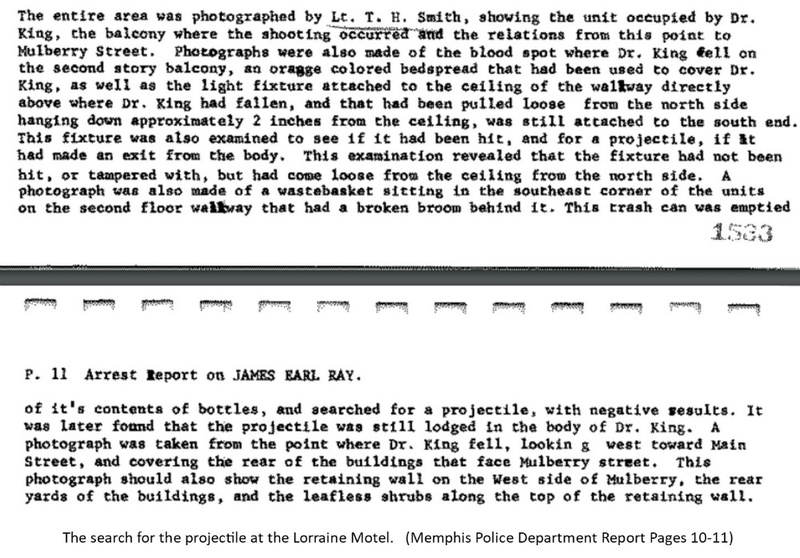 According to MacArthur’s description, his was a comprehensive—arguably time-consuming—review of the key locations involved in the King shooting. Did MacArthur arrive late on the evening of April 4, 1968, tour the crime scene, and then return to Jackson in time to preach? 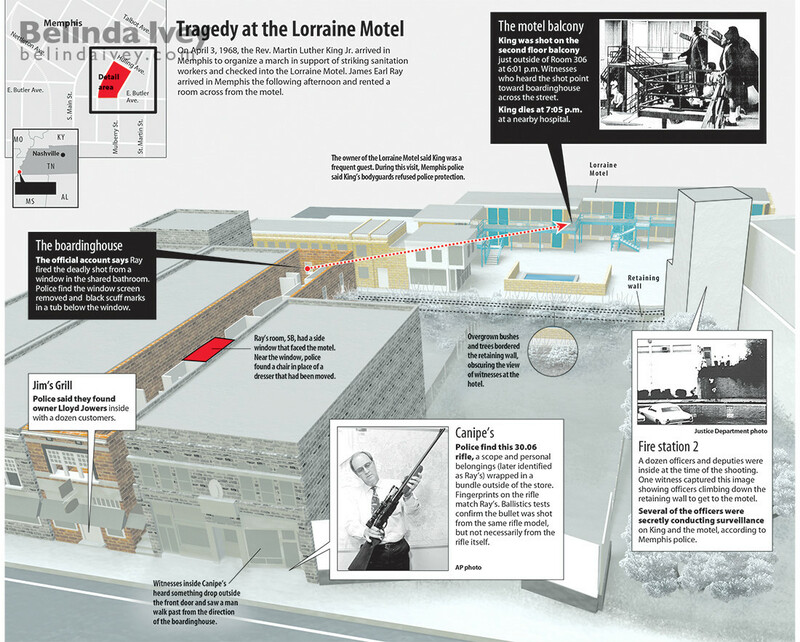 As shown in the images and diagram below, the balcony of the Lorraine Motel is not visible from the toilet. Only from the bathtub could one look to the right through the window and see the balcony of the Lorraine Motel. From the toilet, one can only look to the left. 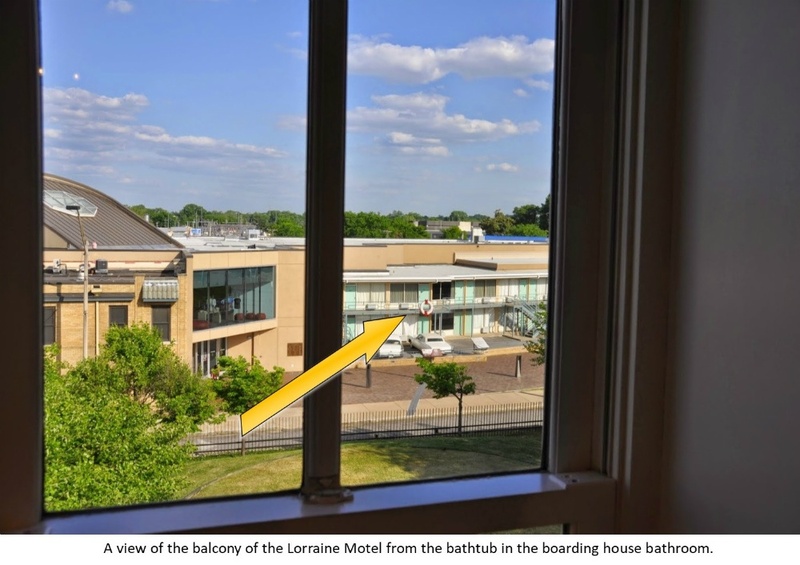 Had John MacArthur actually stood on the toilet in the boarding house bathroom, he would have immediately noticed that he couldn’t see the balcony of the Lorraine Motel from that vantage point. According to pastor John MacArthur, “in those days the police weren’t nearly as protective, forensics hadn’t developed . . . and they didn’t necessarily protect crime scenes” . The MPD report casts serious doubt on pastor John MacArthur’s claim that the boarding house crime scene was not protected. On the night King was shot, investigators did not finish their initial processing until after 11:00 PM, at which time guards were stationed to protect the integrity of the boarding house crime scene overnight until investigators returned to resume their investigation . 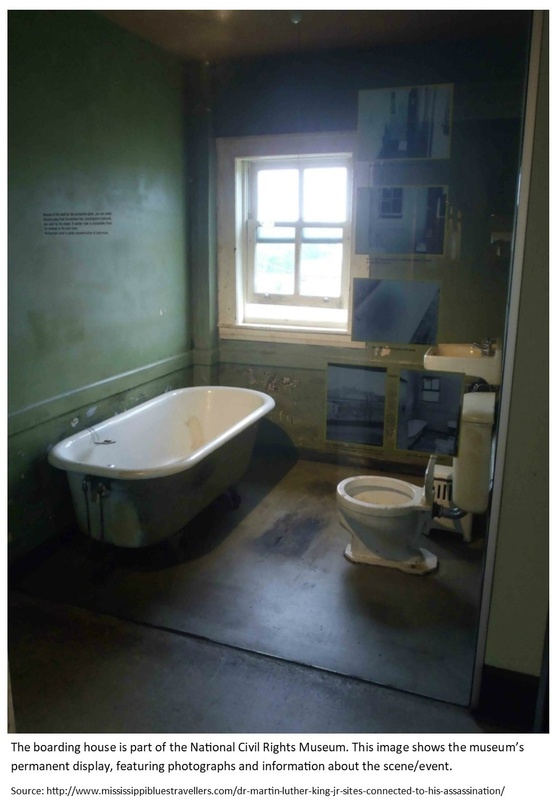 Furthermore, as noted by the U. S. Congress’ Findings on MLK Assassination, the police sealed off an entire portion of the boarding house – even from the boarding house’s own residents . According to pastor John MacArthur, there was little forensics work performed on the part of law enforcement authorities. Actual police and FBI records, however, indicate otherwise. Martin Luther King, Jr. was shot at approximately 6:00 PM , and at 6:09 PM, homicide officers arrived on the scene . A stringent investigation ensued which the official report describes this way: “On the arrival of these officers the most intensive investigation in the history of the City of Memphis Police Department was begun” . Also at this time, various agents from the FBI office in Memphis, arrived on scene, and acted as observers, and advisors… Capt. Nick Carimi of the Memphis Police Department’s Bureau of Identification processed the bathroom for fingerprints before measurements were taken in the bathroom, and no measurements were taken anywhere, in the bathroom, or in the assailant’s room, until after it had been processed completely, and even though it had been processed the measurements were taken with care, so as not to disturb it, in case we needed to process it at a later time. 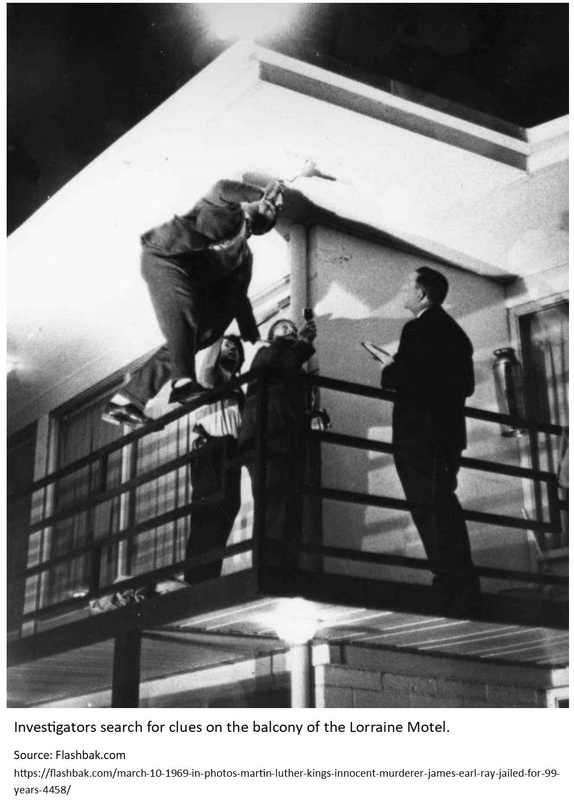 According to the interview, “Ford stayed at the motel under lockdown for three days following King’s assassination as police investigated the scene” . A three-day lockdown can hardly be construed as taking forensics lightly. Who is Pastor John MacArthur? Why does it matter whether or not John MacArthur falsified a story about his involvement with key Civil Rights leaders at the time of Martin Luther King’s assassination? Pastor John MacArthur has built his ministry empire on the faithfulness of his Biblical teaching and on his own personal integrity. Millions of people have come to honor and respect what they know of Pastor John MacArthur. MacArthur pastors the California megachurch, Grace Community Church, and he is the founder of the wildly popular Grace to You media ministry. He is also among the framers of the widely-discussed evangelical “Statement on Social Justice and the Gospel,” a document compiled by evangelical leaders to clarify biblical principles in light of “questionable sociological, psychological, and political theories presently permeating our culture and making inroads into Christ’s church”  . He is the author of more than 100 books, including a best-selling study Bible which bears his name (over 1 million copies sold). MacArthur was also a frequent guest on Larry King Live, and in December of 2018, he was a guest on Ben Shapiro’s The Daily Wire Sunday show. Christianity Today listed John MacArthur as one of the “25 Most Influential Preachers of the Past 50 Years” . Finally, MacArthur is the president of Master’s University (and the Master’s Seminary), although the institution is currently on probation by a regional accrediting agency for monetary “conflicts of interest” and for fostering a “climate of fear, intimidation, bullying, and uncertainty among significant numbers of faculty and staff”   . If a person will lie . . . and if a person develops a pattern of lying, if a person is comfortable with lying, that person will fall to any temptation. Because he never has to fear being discovered, because he’s so adept at deception. According to pastor John MacArthur, “Liars want to crush those who would accuse them. They despise them. They despise those who bare the truth. They despise those who speak honestly. They despise those with integrity,” . Yet, according to Charles Evers, pastor John MacArthur has been lying about Evers for over a decade. Will pastor John MacArthur honor Charles Evers’s request to “stop telling that lie”? Why is pastor John MacArthur’s narrative so starkly different to the recorded testimonies of both Charles Evers and John Perkins––testimonies which indicate that pastor MacArthur was not with these men in Charles Evers’ NAACP office on the night Dr. King was murdered? 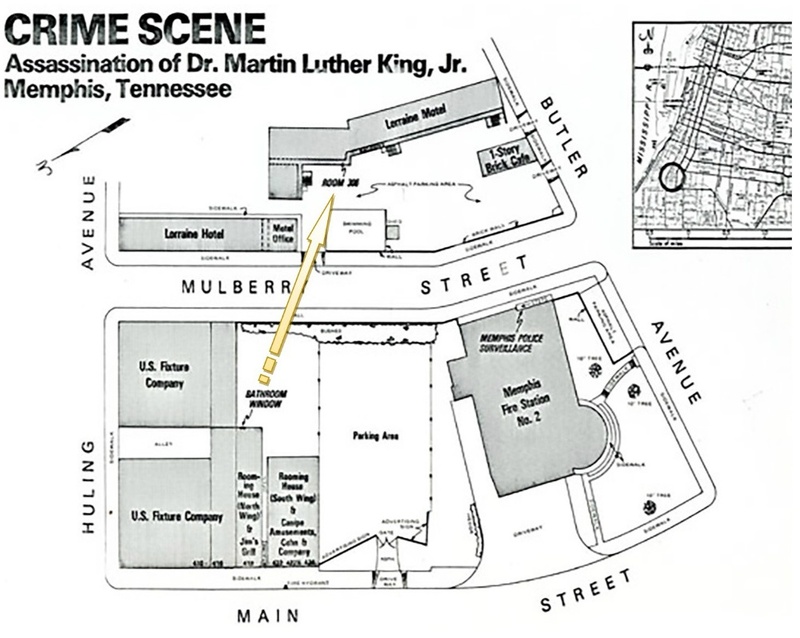 Was pastor John MacArthur in Memphis, TN hours after Dr. Martin Luther King, Jr. was murdered? If so, who was he with? Why would such a successful pastor fabricate the events of April 4, 1968, as iconic Civil Rights leader, Charles Evers, insists? Perhaps it is true that “Every man is a hero of his own story,” . Charles Evers and Andrew Szanton, Have No Fear: The Charles Evers Story, John Wiley & Sons, Inc., (1997). Thanks for the article. It was well researched, well written, truthful and quite helpful. One big question I have is this. When was the first time he told this story? I went to GCC in the early 90’s, but through the mid to late 80’s, I was surrounded by GCC in college. I never heard this story. However, whenever MLK came up, nothing good about him was said. They said he was a womanizer, a Communist, and/or a heretic who twisted Scripture to suit his political agenda. I did hear that he preached in the South in the 60’s, but still I never heard this part of the story. The earliest quote is from 2007 which was 12 years ago. If that was the first time, why did he wait so long? Is it because now that history is kind to MLK who was a very controversial and polarizing figure when he was alive? Did he wait 40 years to jump on the MLK bandwagon now that posthumous honors are pouring in and he is trying to get in on it? Chase fads much? The last line of the article reads, ” The last line of the article states, “Yet, according to Charles Evers, pastor John MacArthur has been lying about Evers for over a decade.” Why just over a decade? Why did he wait 40 years to tell it? People of MacArthur’s ilk question why women wait so long to report sexual assault. In his case, this is something to brag about. Talk about witnessing history. Why did he wait so long? I posed the same question to Phil Johnson. I am waiting for his response, so please hold off on punishing my comment. Interesting article. I ask this question not to cast doubt on Evers’ account, but out of genuine curiosity: how did one receive a phone call while driving in a car in 1964? Are there more details on this point? Did Evers stop along the way to receive a call or was there truly a way that he could have gotten a call on the road? Thank you for your inquiry. This type of car phones were first used in 1946, and functioned as a radio. Some on screen examples include Perry Mason, Andy Griffith, and Sabrina. The August 1958, edition of Jet Magazine also featured a car phone in an article about jazz musician Red Prysock. Perkins has clearly and pointedly asserted in his own book the MacArthur was ‘with him’ the night he heard of MLK’s shooting. Some of the other details regarding what exactly happened when they reached Memphis, etc. bear closer scrutiny, but memory 50 years hence can be a jumbled thing. Perkin’s book shows that MacArthur was there. You’re lying Paige. That is quite an unfortunate assertion, abcdefg. It is also an erroneous assertion. Dr. Perkins’ account of that evening is compared in this article with the accounts of Charles Evers and John MacArthur. While Dr. Perkins mentions John MacArthur in his book, he does not give an account of the evening of April 4, 1968. For Dr. Perkins’s account of that evening, we must refer to the podcast I quoted and linked. So you expect John Macarthur to understand ballistics/forensics then? At the time in which he would have been there (according to his story) the authorities probably hadn’t quite even figured out the scene yet. I’m not sure why this proves anything other than JM is largely ignorant of firearms. 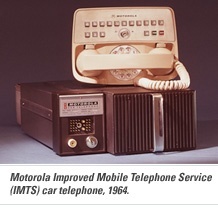 My question is how did a civil rights activist in 1964 afford a pretty darn rare mobile phone? Must have been richer than almost any white person I grew up around that’s for sure. Even the rich business people in my area (which had almost no African Americans in the area, not that I really care what color anyone is, to be honest) didn’t have them. Also — your ‘research partner’ you mean Brannon. Everyone knows who conducted that interview. And the fact that he never talked over him tells me he knew ahead of time he was going to alter his voice. Because Brannon otherwise doesn’t have that much self control. Did not know this place existed till Paige interviewed The Hagmann Report. Don’t really care about this subject but love the articles on Chuck Missler and Lila Rose. Added to my list of “go to” bookmarked sites….Thank you! “Perkins has clearly and pointedly asserted in his own book the MacArthur was ‘with him’ the night he heard of MLK’s shooting. Some of the other details regarding what exactly happened when they reached Memphis, etc. bear closer scrutiny, but memory 50 years hence can be a jumbled thing. Dr. Perkins’ account of that evening is compared in this article with the accounts of Charles Evers and John MacArthur. While Dr. Perkins mentions John MacArthur in his book, he does not give an account of the evening of April 4, 1968. For Dr. Perkins’s account of that evening, we must refer to the podcast I quoted and linked. I stand with John MacArthur’s account of the events. His lifelong example in ministry affords him the benefit of the doubt. Not sure why Paige feels the need to attempt to discredit a man whose ministry has impacted so many for Jesus. That’s a whole lot of research and energy Paige put into attempting to discredit the ministry of Pastor John MacArthur. It’s actually very sad that she would go to such lengths to attempt to smear the ministry of a man who has devoted his life to the advancement of the Gospel of Jesus Christ. Sad indeed. His message must pose a threat to you in summer some way.Not hard to see that.